"Excellent company--Plowing has been excellent. They even fixed my brick walkway and added rails going up the steps ...Quality work...Nice people to deal with." "I would like to thank you staff for doing such a great job plowing in the past two weeks. The guys did a great job moving a lot of snow, without apparently damaging the lawn/property. We have had other plowing companies rip up the lawn in the past, and your guys are careful to pick the plow blade up a little bit so that the lawn is not ripped up when moving snow onto the lawn areas." 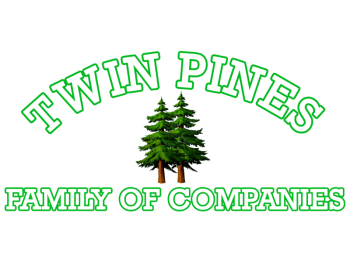 "We've been a Twin Pines customer since we moved into our home and couldn't be happier with the service. We can always rely on the Twin Pines team to do the job and do it right. They are responsive, prompt and thorough. We highly recommend them to anyone." "I am so happy with the work Twin Pines did. They totally rehabilitated my very large yard. Their staff is always very polite and professional. I get comments on how beautiful my yard is all of the time. I would highly recommend their services." "A good company to do business with – efficient, professional and courteous! Thanks for a job well done!" "The job in total was small, but required skill and required ladder access. The three items were completed, much to my satisfaction, and in a short period of time. I helped by having paint and brush available. The conversation was also appreciated, giving me confidence that I had the right person, with the right attitude for the job. Thank You." "Just an early ‘thanks’ for the killer work you guys have been doing! Nothing on this...shed project has gone right or fast until you guys showed up." "I am impressed with the quality and efficiency of your team! Thank you very much! And I will be referring you to my friends!" "...You guys have also been working on our lawn this year with mowing and the fertilizer program, and it looks amazing. Didn't think we would see such improvements in the quality of the grass in such a short time --thank you." "Thank you for providing outstanding snow clearing service." "Thanks for the completion of the project...We are very happy with the finished result. It was a very professional job, and a pleasure to work with you and your team." "The guys did an amazing job, I have had trees taken down by other companies, [and] you guys were the best."